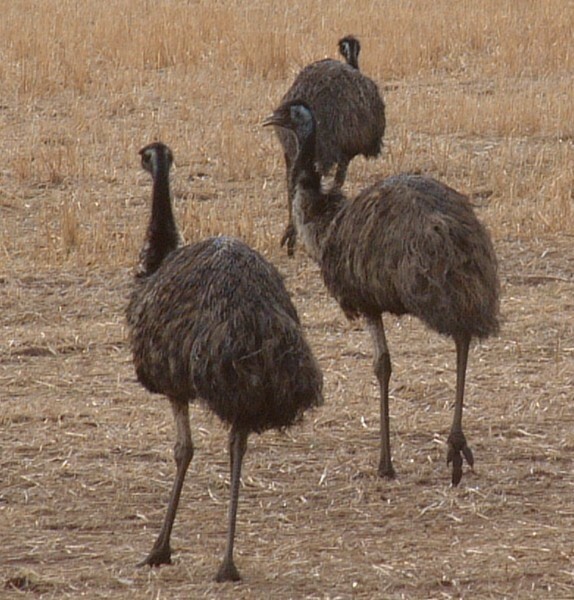 This section showcases some of the more commonly found land Birds of Australia. 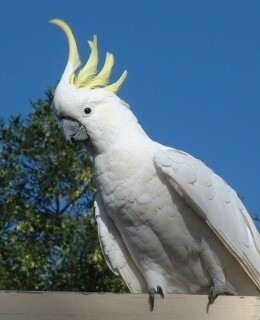 For water-birds, including Shore and Seabirds of Australia, check out our Australia Birds 2 page. 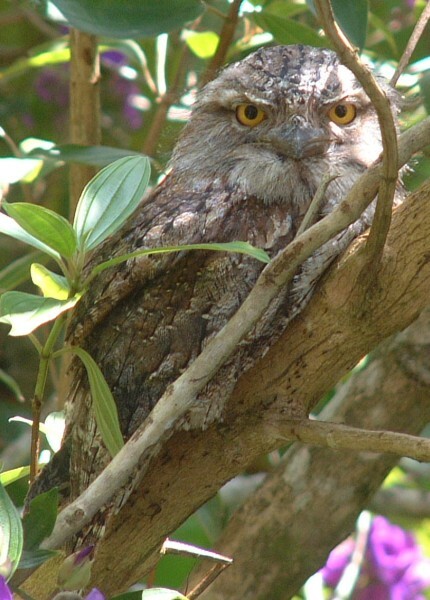 Australia is a birder's paradise, and to learn about the more than 750 species on this continent and all their habits and habitats would take a lifetime (or 2!). 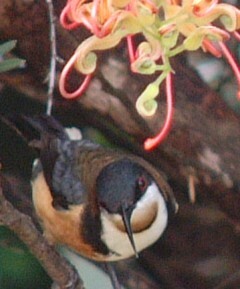 We did get to several different eco-regions in Australia and got many good bird photos. Too many, in fact, to fit on one web page. So I've rather arbitrarily divided Australian birds into Water Birds (including sea, shore and fresh-water habitat birds) and this page of somewhat miscellaneous Birds. Photos, large and small, are copyright HackingFamily.com, credits Sue Hacking, unless otherwise noted. For identification we use the Birds of Australia (Princeton Field Guides) by Ken Simpson and Nicolas Day, but there are actually lots of good Australian bird books available. Over the months in Australia we have seen and identified hundreds of species. Not all were seen on our 9-month stay in 2006 aboard Ocelot. 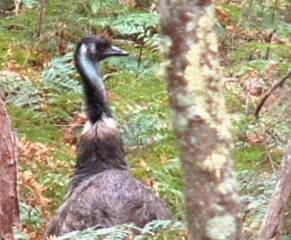 Others were seen on our driving trip from Canberra to Daintree National Park, Queensland, in the winter of 2000 (but those photos are not included here). If you have a special interest in the continent's parrots, see below. Where to find birds in Australia. Just look around. And listen. They are everywhere, and their morning song is some of the best birdsong in the world as the Magpies and kookaburras awaken. An Australian birding expedition need not be a "BIG" event, but can begin outside your hotel room, your tent or in a backyard. Because insects, bugs, small lizards, geckos and skinks abound the birds have plenty to eat. And the shrubs and trees are ripe with yummy seeds and fruits. 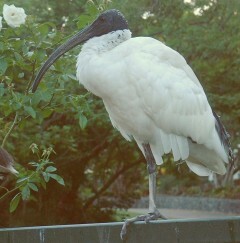 Your guide book will list many bird parks (in addition to the famous Australia Zoo) throughout the country. A drive in the outback or national parks will yield the best birding if you camp or take an evening or early morning walk. 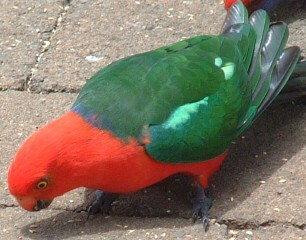 The Australian birding will astound you! It seems fitting to begin the Australia bird pages with the Australian Magpie (Gymnorhina tibicen) (left) as it was one of the first birds to awaken us in the summer in Brisbane with its beautiful, fluting call that can also be called "caroling". Found throughout Australia, the magpie is a large-ish bird (38‑44 cm or 12‑17") with distinctive black and white markings. Birds in Tasmania, parts of Victoria, and southern Western Australia have white or grey backs. They live in groups with up to 24 birds defending one territory; a dominant male mates with several females. 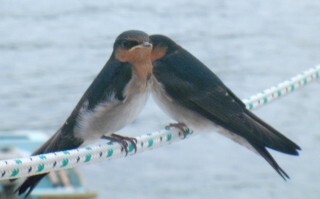 Young birds are driven from the group and form roving groups of their own. 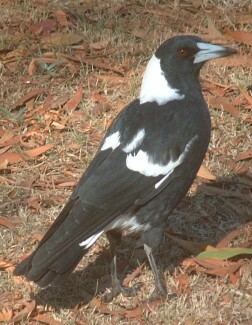 Magpies live in open forest, farms and urban areas. 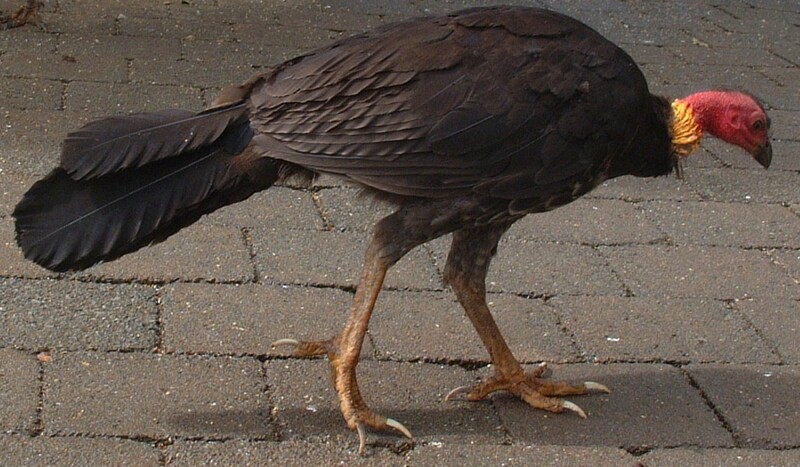 They are omnivorous and live on fruits, seeds, invertebrates, reptiles, small birds, and food they scavenge. 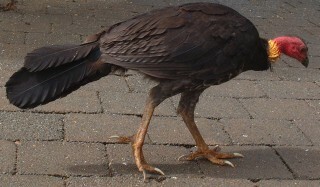 The magpie (left) was taken in Victoria in summer. 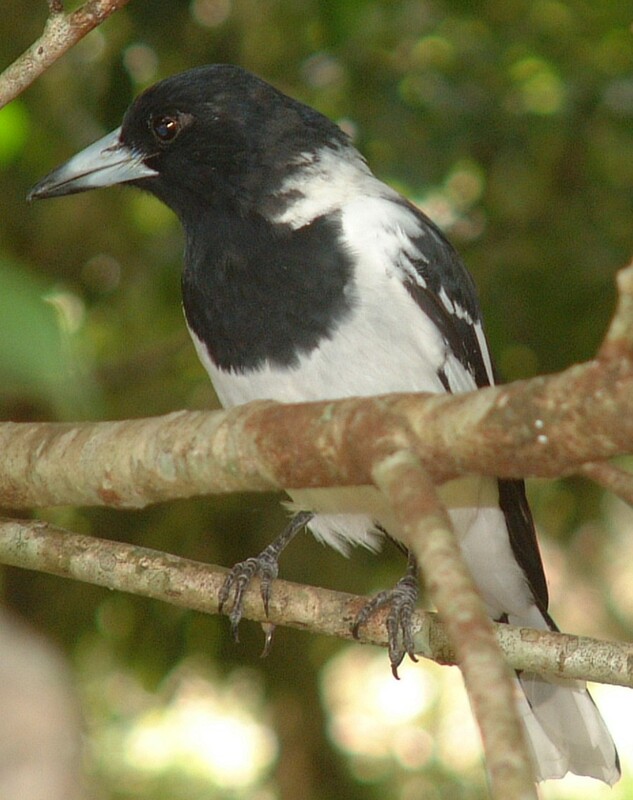 The Pied Butcherbird (Cracticus nigrogularis) (right) is in the same family, and also has a melodic, flute-like voice. Note the "opposite" colors to the magpie. This shot was taken at Mt. Warning, NSW in spring. 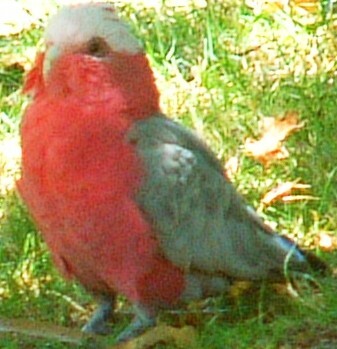 Australia is home to two families of parrots (as we collectively call them): the Family Cacatuidae (the cockatoos) and the Family Psittacidae (which comprise the majority of parrots) together including about 50 species. The cockatoos are generally larger (up to 52 cm or 20") and the parrots can range in size from the Australian King Parrot (at 42 cm or 16") to the small lorikeets (about 12 cm or 5"). All parrots have short, strongly hooked bills, prominent eyes and bright plumage. Many are able to mimic human words. 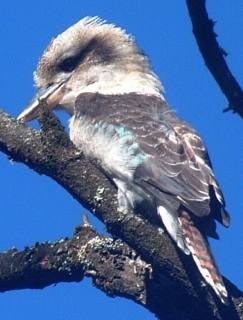 Most breed in tree hollows and are fairly long-lived. Many species feed on small berries and fruits, while some grub for insects. A pair of Crimson Rosellas, Platycercus elegans (possibly one juvenile and one adult) perch on a rooftop in New South Wales. 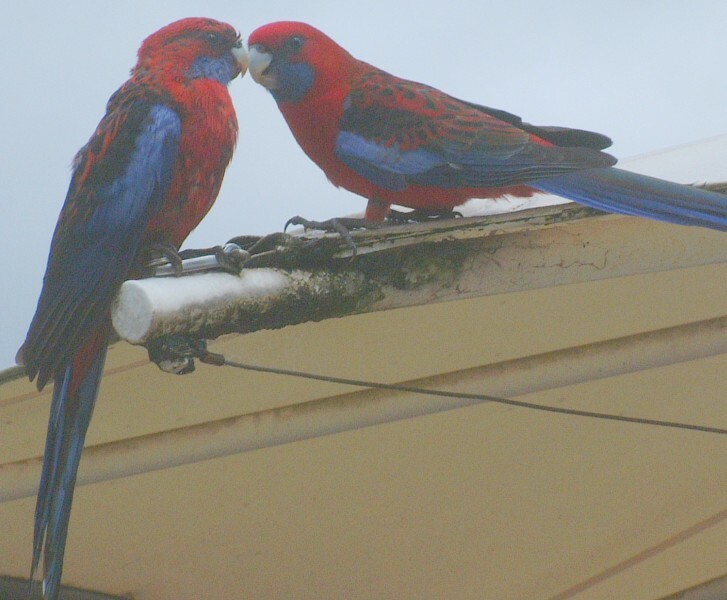 These blue-cheeked rosellas are found in SE Australia in parklands and moist forests. 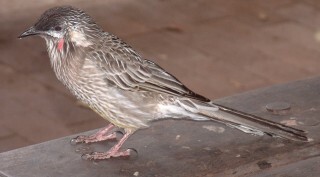 Gregarious and not shy around humans, they are often fed by tourists, a practice that harms the birds and may result in disease and dependency on humans. 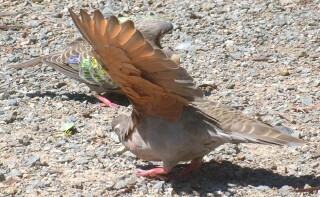 They are about 35 cm (14") tall, and make a metallic "kweek-kweek" when in flight and a softer whistle when perched. 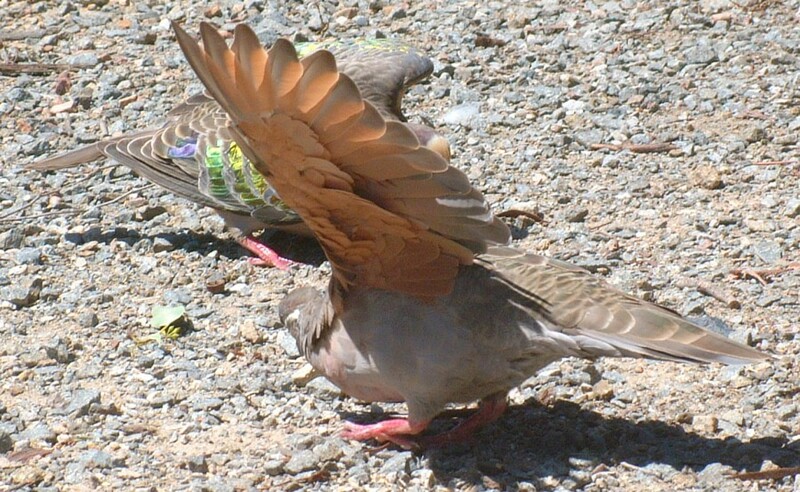 Want more Birds of Australia? Go to Australia Birds 2 to read about the water-birds of the shore, sea, and inland waters.